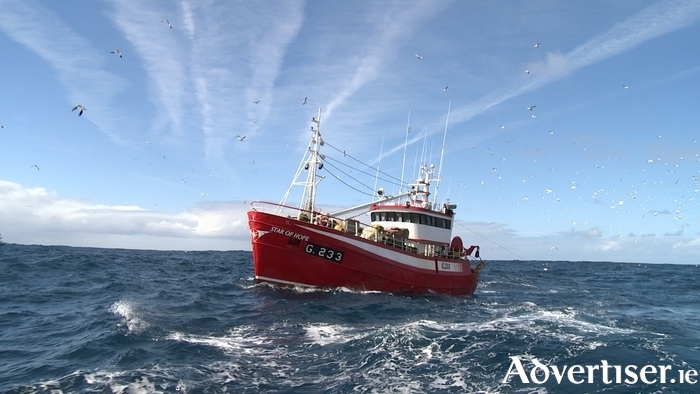 ATLANTIC, A part Galway made documentary, following fishing communities in Ireland, Canada, and Norway as they struggle to sustain their livelihoods against oil exploration, fishing quotas, and industrial trawling, will be screened at The Eye. Atlantic will be screened from tomorrow until Thursday May 5. Directed by Galway-based Risteard O’Domhnaill (The Pipe ), it is narrated by Brendan Gleeson and won Best Irish Documentary at the recent Audi Dublin International Film Festival. After previously taking a behind-the-scenes look at Ireland’s Corrib Gas controversy, O’Domhnaill realised a wider story of resource mismanagement was emerging. In Norway, fishing has historically been aggressively protected by the authorities, but as oil fields dwindle and the country looks to add to its reserves, Arctic fisherman Bjornar Nicolaisen is campaigning against seismic testing by the oil explorers crossing his fishing grounds. In Newfoundland, where an oil boom has hit, Charlie Kane may be the last of his generation to work the sea, after a 1990s cod fishing ban brought the industry to a halt. In Ireland, after a ban on drift netting for wild salmon, Jerry Early fights to regain his fishing rights, up against a government which takes orders only from the EU. 'Atlantic' in cinemas 29th April from Risteard O Domhnaill on Vimeo.